The Healing power of Vaseline® has been trusted by South Africans for more than 140 years. As decades have passed, the Vaseline range has evolved from the trusted petroleum jelly found in every home to an extensive personal care range that meets the needs of the modern consumer. To that end, Vaseline Men launched the new #StartStrong campaign in partnership with home-grown International artist Riky Rick and SA cricketing hero Kagiso Rabada. To succeed today requires attention to the finer details: wearing the lucky suit, putting on your favourite cologne and getting a good night’s sleep. It's the double, triple, quadruple checking of a presentation. It's the aisle seat, the ironed shirt, the getting there early. It’s the meticulous routine, which begins with a skincare regime that expresses confidence and helps him start the day strong. The brand has partnered with music superstar Riky Rick and cricket hero Kagiso Rabada for the #StartStrong campaign to exemplify the Vaseline man who is on his path to success. Rapper, producer and entertainer Riky Rick knows the value of persistence and a relentless focus on details. His latest album "Family Values" was recently certified platinum by RISA and was one of the Top 20 African Albums of 2015. 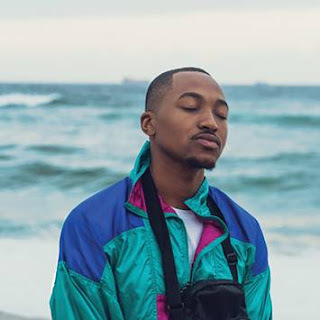 Influenced by early Kwaito and Hip Hop, his music reflects a completely unique style which bridges South African township life and international appeal. Beyond music, Riky has one of the most loved and respected personal brands, having recently been voted Most Stylish Male in performing Art at the prestigious South African Style Awards. “Success isn’t promised. You need to go hard every day. You need to set goals, focus on the details and keep moving forward,” said Riky. Kagiso Rabada also realised what his passion is at a young age. While attending school, he discovered his talent for cricket. He made his debut as a provincial player in 2013 and was consequently chosen to be part of South Africa's Under-19 side for the 2014 ICC Under-19 Cricket World Cup. This was only the start of his meteoric rise. At the campaign launch event in Johannesburg, guests explored two experiential zones that depicted the daily preparation rituals of Riky Rick and Kagiso Rabada that help them start strong every day. In addition to this, Thulani Ndlovu, well-respected South African life coach, spoke about the value of ritual and attention to detail as key aspects in helping men achieve their goals. The #StartStrong campaign includes a range of influential South African men, including artists, stylists, writers, entrepreneurs and professionals. The campaign will be rolling out on television and digital platforms throughout 2017. Join the conversation about the modern South African man and what he does to start strong by using the hashtag #StartStrong on Twitter and Instagram. As a leading skincare solution for more than 140 years, the Vaseline brand has become synonymous with restorative healing power. It is the world’s number one brand in hand and body care, helping to restore moisture and skin health for the whole family. Vaseline Men was launched a decade ago to provide a specialised range of products for the modern man. He is focused, hardworking, career-driven and understands that being well-groomed plays a role in helping him prepare for greatness. Using Vaseline Men in his morning routine not only moisturises his skin, but heals it. Vaseline Men instantly restores the driest skin, helping him start his day strong.